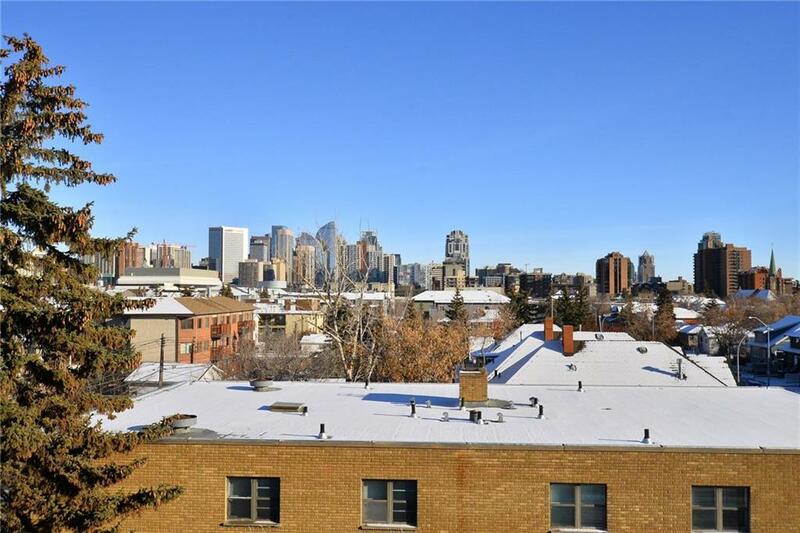 2-bedroom penthouse with stunning downtown views located in the heart of Sunalta. 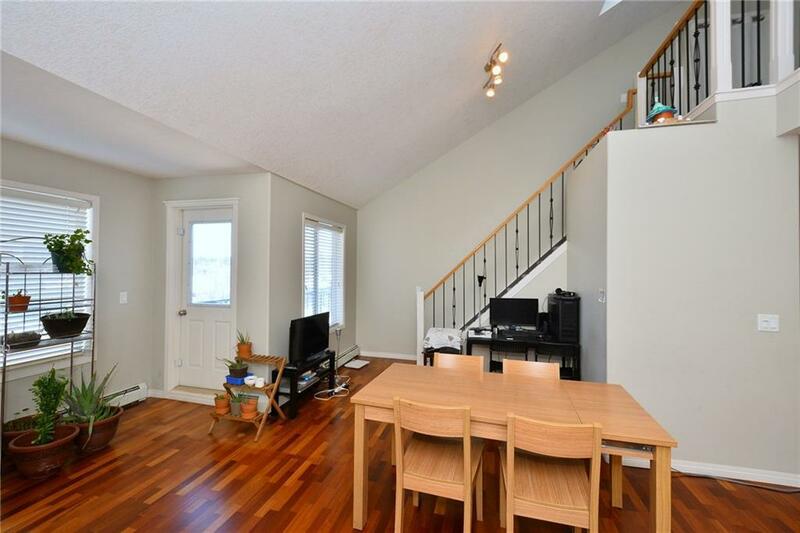 Walking distance to restaurants & pubs, trendy 17th Ave & an easy commute or bike ride to downtown & the river pathway system. Large windows provide a plethora of natural light & illuminate the gorgeous hardwood floors.The open conceptprovides easy interaction with guests. The kitchen is spacious w/lots of cabinets & counter space, corner pantry, peninsula island w/eating bar & is open to the dining room/living room with vaulted ceilings making it the perfect place to put your feet up in front of the fireplace or take your beverage out to theadjacent balcony & swoon over the breathtaking downtown views. 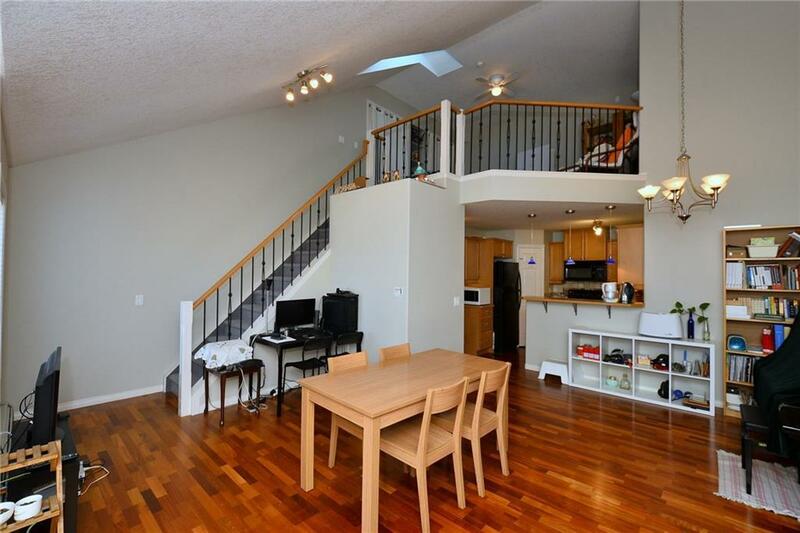 There are two bedrooms are on the main level, including the huge master retreat w/double closets & private en suite. Ascend the ironrailed staircase to the stylish open loft, ideal as an office, gym or Art studio. 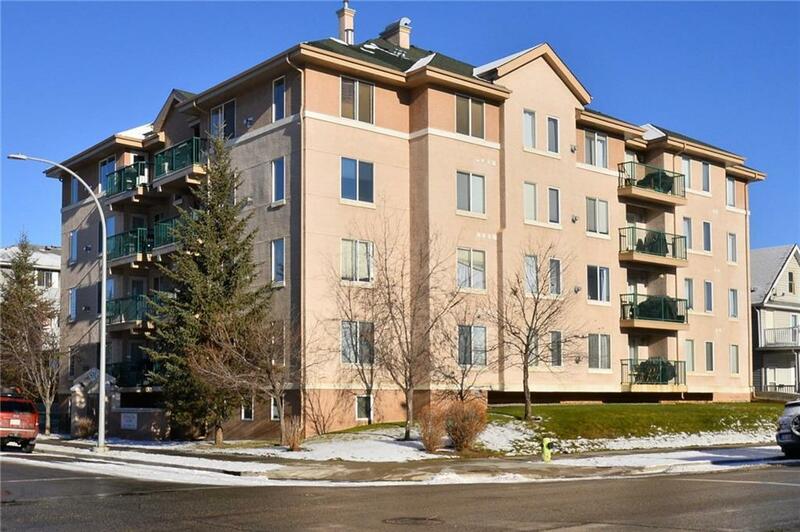 In-suite laundry, 4 piece bathroom, underground parking and storage add to the amenities in this great condo.